Happy Birthday to my blog! 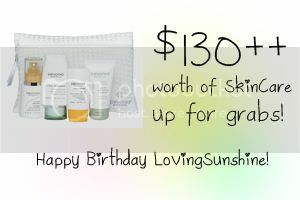 I can't believe I've been carrying the name LovingSunshine for two years already! Would you believe I almost became SunflowerGirl.com hahaha :p I'll be sharing with you a product I have tried few months back and have been continuously using 'til now... and later this post would be a $130++ skincare giveaway so uh-huh, come on ladies, read up and join the fun! I love sharing my love for beauty with you! Win this Your Skincare Solution Pack worth Php 5410! My first major-major experience of Pevonia Skincare was when I was pampered like royalty for a day at The Spa. It was an unforgettable experience because the treatments I was pleasured with were all very relaxing, rejuvenating and energizing. I stepped out of my room like a new person, so to speak. Besides my royal The Spa memory, I have these two Pevonia products to enjoy at home. These were given to my by my friends Jenny and Elaine; both product recommendations to fit my skincare concern: pretty much dryness and uneven texture. The chubby bottle is a scrub while the tall slender one is a dry body oil--yeah, queer product right? Will tell more about that later. I love the fact that Pevonia products are powered by botanical ingredients. With the harshness of our environment by default, I always make sure I use gentle skincare to give my (face) a break from all the cosmetic gunk I often subject it to. As far as I'm concerned, the best thing that can happen to your skin is a great body oil. I know when it comes to skincare we're always wanting the likes of: oil-free and shine-free; but that's for the face. Heck, even for the face, we shouldn't be completely oil-free. Our skin produces oil in itself as its natural way of nourishing, keeping moisture and protecting the skin from further dryness. Pevonia's Dry Oil is a unique blend of botanical ingredients infused to an equally unique oil that is absorbed dry or matte by the skin--unlike usual oils that as much as can be absorbed well, just can't be thoroughly absorbed sans a film of greasiness. Personally, I love the baby scent of this dry oil. I can't be bothered to use the spray atomizer sometimes cause I always apply liberal amounts of body oil prior to sleeping; but it does offer a certain convenience especially for hard to reach areas like the back! Now comes the fun part. Like I mentioned at the beginning of this post, I will be giving away a Your Skincare Solution pack worth Php 5,410 (approximately $130) to one lucky reader. All you have to do is fill up the form below! Show LovingSunshine support for its 2nd year and shower my sponsor, Pevonia Philippines, some love for their generosity. In fact, they've been so supportive of this blog-versary giveaway that they granted my wish to grant YOU your wish. See, it can't get better than that. I want you to win the product that would fit your skin concern the most so get a reading and let me know what product you would like to bring home. Best answer wins! :) Have fun and thank you for all the love. To know more about Pevonia, visit their blogsite here. Don't be shy with those birthday greetings! Facebook, Comment or Tweet me! I want to win a Pevonia Botanica Philippines gift pack from Kumiko Mae beauty blog http://bit.ly/lovingpevonia! I have oily skin, but my eye area is dry because it doesn't produce oil on its own. I believe the eyes should be our first priority because they're the first to show signs of aging. I've seen young people with crow's feet and it adds years to their face. Also, the eye area is sensitive so we can't just put anything on it; it needs tender loving care, which I believe Pevonia could deliver. i have to agree on this. honest, i took time to care for my eyes a bit too late but ever since i started, i take measures to do so. i even apply makeup and remove makeup gentler nowadays. hi belle! agree! using the wrong product for your skin type can be very pointless if not harmful! :D kudos in making sure you use the right product for your skin type! Of all the parts of my body, aside from my face, my eyes are super sensitive and they tend to have fine lines easily due to sun's rays, makeup and stress. I do want to win this set to take care of them better as I have never tried any targeted product for my eyes as yet because I'm really doubting about the ingredients in them. I'm trusting Pevonia will be the answer to my problems! Having combination skin require a little extra effort and I find the Pevonia Combination Skin line so beneficial in keeping my skin in the game of "balance". I want to keep my dry areas moisturized and my oily areas relatively dry. With a little bit of extra attention, and the help from Pevonia I can do just that. our skin type varies based on our diet, environment and stress level (yes, i used that term haha). i hope with pevonia, you go form combination to perfect! 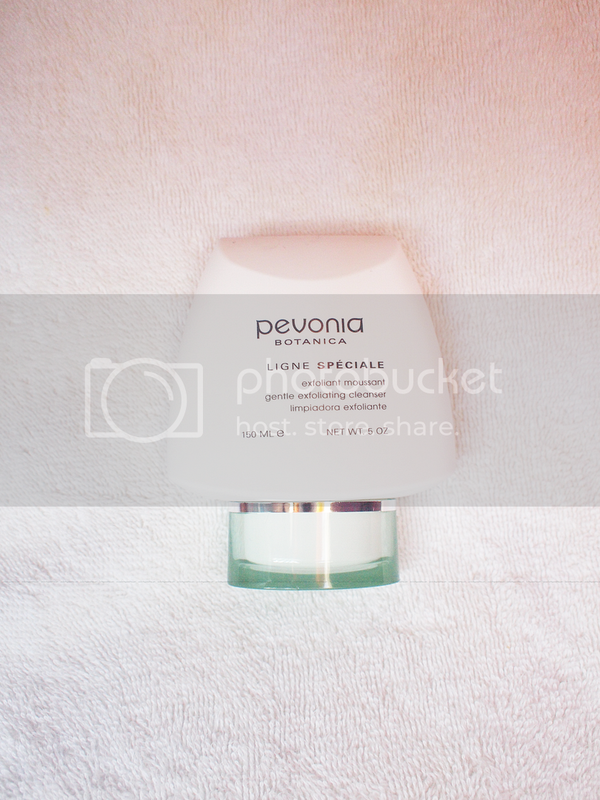 I want to win Pevonia Soothing Sensitive Skin Mask because I think that this one product will understand my skin's needs. Since childhood I suffered severe skin asthma. I was allergic to almost anything - salty food, plants, even the sea, and products with too many chemicals. It was hard specially during my adolescent years. I developed a lot of insecurities and my self-esteem was so low. I suffered ridicule and shame, so to speak. oh my. i feel how traumatic it must be to exerience allergic breakouts! :( i hope if you win pevonia, their products help relieve you of skin stressful situations! I would love to win the Lightening Gel http://www.pevonia.com.au/shop/Lightening-Gel.html because I've got a lot of acne brown spots and uneven skin and uneven skin tone as well. I would love to try this product and see if my face improves. That could be THE miracle product for my face. thanks for sharing meeline. i also have some spots i hope to cure! :D good luck! good luck luckyfinds! masks for sensitive skin can do wonders in an instant! Dry skin:Check, Sensitive skin:Check, Dark Under eyes:Check, Fats and Cellulite: Triple Check!!! I have a lot of skin problems but my main concern right now are the fats and cellulite on my body that degrades my confidence. And So I would love to win the Smooth and Tone Body-Svelt Cellulite Cream for a total fat control in my body as it dissolute, controls, and converts fats into energy and it also eliminates toxins by just massaging a small quantity on dry skin. Perfect product for me. Happy 2nd Birthday to your Jam-Pack Full of Happiness Blog!!! It's a bit embarrassing for me to say but I think the Cellulite Cream is what I need. This is a big problem that I've been battling for years and years. I'm a rather slim person, but I have such bad cellulite that I really shy away from skirts or shorts. No matter how much I exercise or avoid unhealthy food, I just cant reduce the appearance of the dimples on my skin. I really want to be able to wear shorts with confidence!! I love my body, but I just really wish I could find a cream that would really work to improve my cellulite areas. Happy Anniversary btw :) Thanks for all the info and thoughts you share with us~! I am so fatigued these days as my current malady and the people around me complaining of 'something is reeking' has given mo so much stress. My body seems to be out of whacked for being paranoid of this leaky gut-ish problem. If not for music, I would have been depressed day in day out. Uh, life! what do u mean, something is reeking? I have a very oily skin so i would love to have it sorted out. I want to win because so that I'll have more confidence when there's a need to bare some skin (i.e. going to the beach). Things like this are very inevitable so you really have to be prepared (which is to look good) all the time because being a guy is no exception. You also need to look good. In that way, I need not worry about what others might say about my body and just focus on the things that we do and enjoy the life! That is my biggest problem: my eye area. I'm nineteen and I have lines under my eyes and I have horrible dark circles. Despite being a college student, I always try to get eight hours of sleep. but that doesn't make any difference at all . I've already switched from one product to another. I really hope this one will be the one i have been waiting for! I love your blog Kumiko Mae. My latest make-up and skin care haul was entirely from everything i read here in this blog! Happy 2nd Birthday LovingSunshine! I would love to win the Pevonia Lightening Gel because I want my skin to be lighter. I also want an even skin tone that makes me look fresh and radiant all day long. i have very oily skin, im 34 years old and ive neglected my skin for the longest time, thinking that since i have oily skin, it wouldnt age so fast or even be dehydrated.but lately ive noticed dry spots near the corners of my mouth and in the eye area and im panicking. even my husband noticed it and told me that im not taking care of myself as i should. im now trying to moisturize day and night but i am not seeing any changes. that's why i'd really love to try the combination starter kit to address my oily skin yet ensure that my skin gets the hydration it needs. i have not heard of drying around the mouth and i am sorry to hear youre experiencing such. i hope things get better soon. with proper hydration, im hopeful it will :D thank you for joining! http://www.pevonia.com.au/shop/Dry-Oil-Body-Moisturizer.html- this is the one i chose because since i gave birth my skin have super dry skin i want to experience this product. congratulations on the baby and good luck! thanks for joining! I would love to win this. As promised,it slows down aging. Would it be better to tell that age is just a number,right? And with the help of Pevonia, I know it for sure. Happy birthday to your blog! Thank you so much Jenni! I choose this because I have combination skin. This will be a good product for my skin coz. it help to hydrate, and purify my skin and best of all it's all natural coz. it contains carrot oil, green apple and peach and it's from Pevonia - a name you can trust your skin with. At 44,i REALLY NEED the PEVONIA Lightening Gel.There are so many dark spots on my face and have an uneven skin tone.I HOPE i will able to try this one to REGAIN my Beautiful Radiant Skin and my Confidence. i havent tried it yet but judging by how their scrub works, im sure its an excellent cleanser too! I'm a newbie when it comes to makeup (and I'm in my late 30s LOL) and with my limited experience, I found out that that I really, really do have oily skin (even my eyelids!) I knew I had oily skin but not THAT oily. I'd put makeup on in the morning, and by the time I get to the office in 30 minutes via public transport, my face would be oily (I've almost used up all of my oil blotting paper I always keep in my workstation). I'm hoping I could win the http://www.pevonia.com.au/shop/Phyto-Gel-Cleanser.html. thank you for the greeting. hm, with regards to your skin concern. have you also tried switching your cosmetics to waterbased ones? or mattifying ones? and achieve a smoother and brighter skin. you know, a great reparative skincare regimen can really change your life. wishing you the best! i would like to win the pevonia eye care kit. Many says that my best asset is my eyes because of it's almond shape and gloomy look as if I'm always trying to say things using my eyes. But as I age and because of the stresses in life, being a working mom and having online job at night my once beautiful eyes are getting more darker as days goes by. Eye bags are now a common thing. I have tried different eye cream but nothing seems to change. i do hope that Pevonia eye care kit can help me bring back the glorious beauty of my once lovely eyes. for Oily skin, since I have oily skin. I want to have a radiant skin leaving my face clean and beautiful. This is a very generous giveaway; good luck to all of the ladies who enter! yes, time flies so fast! thanks for the visit and happy birthday to your blog too! I think the Phyto-gel cleanser will help cleanse my skin after a busy day at work, or any time of day for that matter! I'm an oily-skin and acne-prone type (worst combination eh?) and even a gentle cleanser can make a difference. I've tried many other products out there but all they do is give me breakouts and uneven skin tone, I feel embarrassed with my forehead already due to sun exposure. Perhaps a good, gentle Phyto-gel cleanser plus a good toner will be the best skin solution for me. im sad to hear you experienced breaking out w other products. i hope if you win, your new pevonia cleanser would be kind and perfect for your skin type! I WAnt to win this http://www.pevonia.com.au/shop/Phyto-Gel-Cleanser.html because i have a oily skin this product will to minimize my oilyness. oily skin is definitely one of the biggest and most common skin problem. wishing you the best! I want to win this eye care http://www.pevonia.com.au/shop/Your-Skincare-Solution-Eye-Care-Kit.html because lately my eyes look so droopy and so tired for staring at my computer monitor at work everyday. And i haven't tried any eye cream i just use my face moisturizer for my eyes. And my eyes really need a load of TLC and i believe that pevonia products can deliver its promise for this one. Happy 2nd Anniversary Loving Sunshine! More power to your blog Ms.Kumiko Mae! I have a brown discoloration in my face due to exposure to sunlight(not sure if this is melasma), I really hate it, drains all my self-esteem. I think the Pevonia Lightening Gel will lighten the darken area in my face. And winning one would be awesome! Thanks for your awesome giveaway! Godbless! I think this is what i need a Phyto-Gel Cleanser, I have oily skin and prone to pimples or blemishes. good luck clara! thanks for joining the fun! Congratulations and May God Bless You always!!! thank you for the kindness! i have cellulites too my golly and i understand how frustrating it is! I want to win a Pevonia Botanica Philippines gift pack from Kumiko Mae beauty blog because I have oily skin. Advance happy birthday Loving Sunshine. i really wish to win this http://www.pevonia.com.au/shop/Phyto-Gel-Cleanser.html Phyto-Gel Cleanser from Pevonia, napaka-oily kasi ng nose ko, di talaga maalis, sana ma try ko eto para masubukan ko kung kaya ba niya tangalin yung oil sa nose ko. I want to use this product http://www.pevonia.com.au/shop/Hydrating-Sunscreen-SPF-30.html because I am exposed to sun on a daily basis. Our means of transportation is motorcycle so just imagine how hot it can be outside and my face is exposed to it, so I would like to use Hydrating Sunscreen SPF 30 to help me protect and prevent my skin from damage. I would love to win the Clarigel Exfoliating Cleanser (for Special Skin Concerns: http://www.pevonia.com.au/shop/Clarigel-Exfoliating-Cleanser.html). I have mild acne, and I've tried a number of products tailored for it, but so far nothing has helped me completely rid myself of this problem. Albeit time consuming as well to cover those red spots with concealer when applying make-up. This just might be my HG product for that! Cheers to clearer and healthier looking skin! Thanks for this contest, God Bless! My eyebags and dark eye circles are genetically inherited but I'm trying to fix it because I look like a zombie even though I get enough sleep at night. I'm currently using garnier brightening eye roll on but I want something better because my dark eye circles cannot be resolved with garnier. I already gave up in using concealer under my eyes because the weather and my oily skin always wash it off at mid day. I want my undereyes to lighten so that I look naturally radiant and beautiful even though I'm not wearing make up. It's nice to know It minimizes sun and environmental damage, while counteracting skin irregularities and discoloration for a brighter, evenly toned complexion. For healthy, hyperpigmented skin. I want to have a firm and lighten skin. Thank you for this another great Giveaway~! I have been having problems with my acne-prone oily skin since I was 11 years old...& I am 27 years of age now! :( I am hoping to win your recommendation for oily skin : http://www.pevonia.com.au/shop/Phyto-Gel-Cleanser.html The Pevonia Phyto Gel Cleanser. I have read so many great reviews about it & I would love to try this out! Thank you so much! I would like to win Skin Fitness for HIM Kit for my hubby because my hubby's job requires frequently talking to a lot of people and this will prep him so that his confidence is up everytime he needs to face them. I'd like to win po ung Your Skincare Solution Eye Care Kit(http://www.pevonia.com.au/shop/Your-Skincare-Solution-Eye-Care-Kit.html)I'm a late bloomer po in terms of makeup and skin care, I always rub my eyes ever since I can remember T-T. Hope this helps to improve my eye bags, dark-circle and fine-lines. Before anything else.....Happy Anniversary LovingSunshine #smiling#!!! Good thing I've stumble upon your blog. I've been trying some products that will hopefully help me with my predicament with those dark circles and annoying eye bags! I'm a night-shift worker and i guess that's one of the realities i have to deal with though. Really looking forward for this Pevonia Skincare-Solution-Eye-Care-Kit. God bless! I want to win Pevonia Signature Massage - Rejuvenate because I love massage. I will ask my hubby to give me a massage using the Pevonia. ohh so romantic. I want to have this moisturizer because my skin is really dry. It seems so scaly and scratching it leaves white marks. Oh, and congrats and happy birthday to your blog. I want to win Eye Care Kit! A lot of year I suffer from my eyes. I always look so haggard and fatigue. My friends always telling me that I need a lot of sleep but they don't know that I am much much of sleep taken. I have a black circle surrounded on my eyes, and a dry skin wrinkles when I smile or laugh. I hate this so much, this makes me look old sometimes:( Omg! I am really desperate to get rid of this annoying & irritating problem on my eyes. Hope this product will be mine so I am not shy anymore to go out and I will be an outgoing and not killjoy woman anymore.. Among all the products, I chose SpaTeen all skin types moisturize. I have no skin problems as of now, in fact, I just want to moisturize and protect my skin for it to maintain my young, youthful and healthy look and feel. What I love about this moisturizer is that it prevents blemish build-ups, and that's exactly what I needed. I hope that I'd win this wonderful product! I choose and i hope to win this product: http://www.pevonia.com.au/shop/Phyto-Gel-Cleanser.html this is for oily skin. I would like to try this one because working in front of the computer for almost 12hrs a day it makes my face oily that built up pimples sometimes. My recommendation: http://www.pevonia.com.au/shop/Phyto-Gel-Cleanser.html because my face is very oily i don't want to see my face i a mirror and when i go out i'll put a powder and my son asking why is my face has an oil? i wish to have it and try it! I want to win giftpack from kumiko mae.. I do a lot of reading and Almost go to bed at late time...that was when i was in college. the result eye bag and dark circle on my eye..if i could only turn back the time,but i hope with the help of Eye Care kit of pevonia my eye skin problem will be solve. I want to win the Pevonia Botanica Your Skincare Solution Eye Care Kit (http://www.pevonia.com.au/Your-Skincare-Solution-Eye-Care-Kit.html). I like that it has products that covers all bases: an Eye Makeup Remover, the "C" Evolutive Eye Gel which can also be used as eye makeup base and the Evolutive Eye Cream which was included in Metro Magazine's 2010 Beauty Awards. I want the kit most right now because I am currently buffeted by a deluge of work and other things to do (I do enjoy working though, I'm a proud workaholic.) and a drought of sleep. I would like to somehow mitigate the toll of staying up all night on my eyes and keep up appearances. Hi Donna, yes actually the comment above yours is one of the winners. NAILS: Power to the Glitter!